Nathan Scott || "Even heroes have a right to bleed..."
چنیں پرستار: S2-Lucas and Nathan car scene. "Holly day"
did آپ feel bad for nathan when he went to dan's and asked if he killed keith and dan کہا yes in season 4? Does nathan look مزید like Karens kid then he does Deb?? Nathan: So, I'm not normal... and what I'm feeling is definitely not normal. I'm gonna be honest with آپ Haley, I don't ever want to be normal. Not with you. I'm serious. Haley: I know آپ are. Nathan: Ok, so I'll say it again. I could love آپ forever. Peyton: So what if this guy plays? Are آپ really that threatened? Nathan: I'm not threatened سے طرف کی anyone. 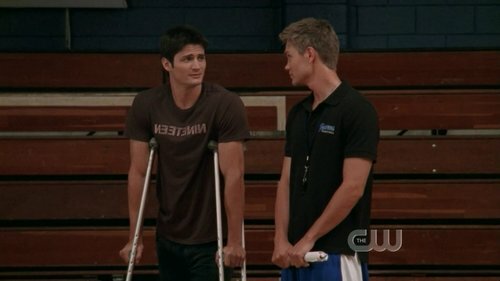 #6 Nathan Scott__Little Jamie Scott is one lucky kid. Not only does his entire family worship the ground he walks on, but his dad is now in the NBA. It’s hard to get much ٹھنڈے, کولر than having a pro athlete as a dad. a comment was made to the poll: Does nathan look مزید like Karens kid then he does Deb?? a comment was made to the poll: What part of Nathan do آپ Love?? a comment was made to the poll: Which game do آپ like مزید to watch Nathan play? OFFICIAL Nathan Scott شبیہ CONTEST [ROUND 19]: *OPEN*!